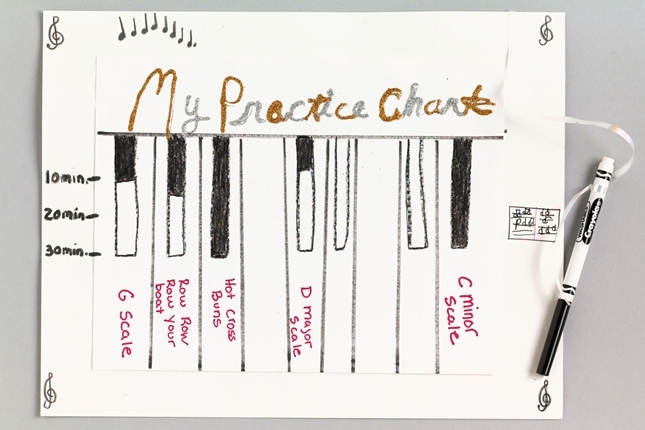 What a wonderful idea to help kids learn to plan and record their practice! You can get the full instructions as given by Crayola here, but I think overall it’s fairly self explanatory! This entry was posted in Teaching, Tips for students and tagged games & activities, practice on 5th June 2013 by .